Martyrdom on demand: if not of use alive, perhaps of use dead? US-backed opposition groups in Russia have so far failed utterly to produce results. Their transparent subservience to Washington coupled with their distasteful brand of politics has left a rather unpleasant taste in the mouth of most Russians. Each attempt to spread the “virus” of color revolution to Moscow, as US Senator John McCain called it, has failed – and each attempt has fallen progressively flatter. 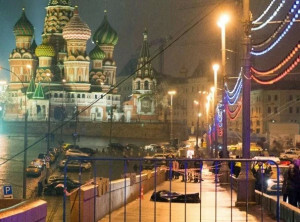 The prospect of triggering sustainable unrest aimed at the Kremlin was beyond impossible – that is – until the leader of the planned protest was shot dead, practically on the steps of the Kremlin itself in the heart of Moscow. It is important to understand what the US did in Ukraine, Serbia, Georgia, Belarus, and Nicaragua, and who was involved, because that is precisely what the US repeated in 2011 amid the so-called “Arab Spring,” and again in 2013-2014 during the so-called “Euromaidan,” and precisely what they are attempting to do in Russia itself today. In addition to Nemtsov’s direct contact with representatives of US-backed sedition, Nemtsov’s adviser, Vladimir Kara-Murza, has attended NED forums including one in 2011 titled, “Elections in Russia: Polling and Perspectives,” and an NED forum in 2013 titled, “Russia: A Postmodern Dictatorship?” which was jointly presented by Kara-Murza’s “Institute ofModern Russia,” a joint-US Neo-Con/US-backed Russian opposition propaganda clearing house. [US Senator John McCain] said, “A year ago, Ben-Ali and Gaddafi were not in power. Assad won’t be in power this time next year. This Arab Spring is a virus that will attack Moscow and Beijing.” McCain then walked off the stage. Comparing the Arab Spring to a virus is not new for the Senator — but to my knowledge, coupling Russia and China to the comment is. Senator McCain’s framing reflects a triumphalism bouncing around at this conference. It sees the Arab Spring as a product of Western design — and potentially as a tool to take on other non-democratic governments. At an earlier session, Senator Udall said that those who believed that the Arab Spring was an organic revolution from within these countries were wrong — and that the West and NATO in particular had been primary drivers of results in Libya — and that the West had helped animate and move affairs in Egypt. Udall provocatively added Syria to that list as well. “This virus” may have overwhelmed governments around the world at first, but since then, success has been limited with major setbacks in Thailand, Malaysia, and even in Egypt where US-backed regimes were either ousted by military coups, or never made it into power to begin with. Ukraine’s “Euromaidan,” while successful in Kiev, has led to Crimea’s return to Russia and a bitter civil war in the country’s eastern most provinces that have drained the lifeblood from Washington’s newly acquired client state. It was clear that Washington’s “template” needed an upgrade. What could be done, just days ahead of another attempt to trigger sustainable unrest in Moscow? What could the movement use? A martyr. The provocative murder in the center of Moscow, in close proximity to the Kremlin itself, would lead the more gullible members of the general public to imagine President Putin himself leaning back in his office chair with a rifle sticking out the window of the Kremlin, and gunning down his rival – in true super villain form. Already, before any investigation has been conducted, Western news sources are attempting to imply the Kremlin was behind his murder – hoping the general public believes Russia’s leadership would be careless and thoughtless enough to commit such a provocative act just two days ahead of protests. Of course, the BBC also mentioned Nemtsov’s intentions of exploiting growing economic concerns in Russia, brought on entirely by sanctions placed on Russia by the United States and its allies regarding chaos admittedly caused by overt, admitted US meddling in Ukraine’s internal affairs. It appears likely that rather than the Kremlin clumsily killing an opponent on their doorstep on the eve of a major protest, he was instead killed by either members of his own opposition movement, or by his US backers themselves. The combination of economic strain brought on by US sanctions, US-backed mobs planning to take to the streets, and now a martyr conventionality delivered just 2 days before the protest he was meant to lead was to take place, has the deck stacked with the most favorable cards to deliver the West the sort of sustainable chaos and unrest it has desired to create in Russia, and has admittedly created in neighboring Ukraine, according to America’s own former Ambassador to Russia, Michael McFaul. What must be going through the minds of Nemtsov’s colleagues who will undoubtedly repeat the West’s propaganda implying the Kremlin was behind his murder, but who know the Kremlin well enough to know that isn’t true? They must now realize that any one of them could be next – that if their utility to their foreign sponsors alive is outweighed by their utility to them dead, they may be in tomorrow’s headlines for all the wrong reasons. Their options are limited – continuing as pawns of an increasingly violent, dangerous, and unstable collection of foreign interests or divesting from their roles as foreign-sponsored agitators, and reapproaching Russian politics in a more honest and constructive manner, even if their capacity remains in opposition to the current government – albeit in a diminished role lacking the resources Washington has lavished upon them. To America’s proxies beyond Russia’s borders, they too must understand that the days of “color revolutions” sweeping targeted governments from power are over and that their lives are equally in danger of being spent for the cause of “martyrdom” to supercharge their floundering opposition movements. The opposition, if they were not behind the murder of one of their own leaders, would not dare hold the protest this week – as it would be a shameless exploitation of this tragedy – and they would instead, for both security and respect, mourn the loss of Nemtsov thoughtfully. 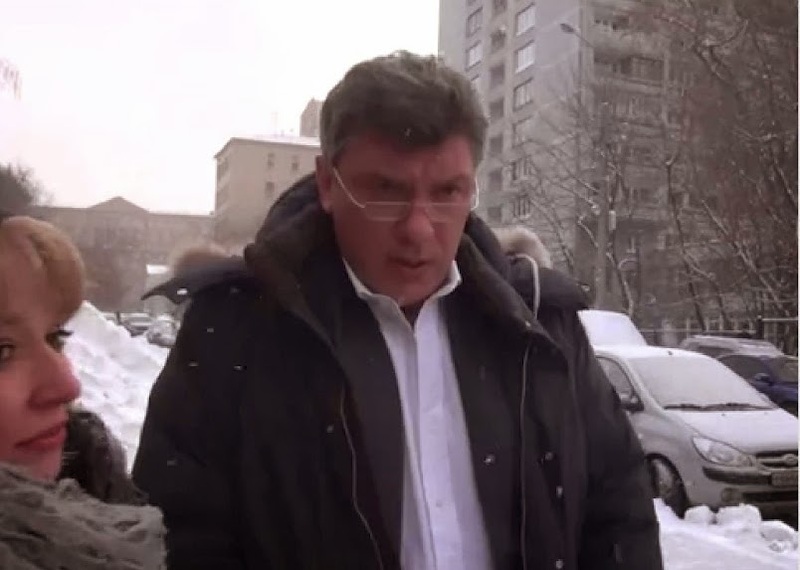 However, since they and their foreign backers were undoubtedly behind the murder, they will protest, shamelessly leveraging Nemtsov’s death to its fullest – using mourners to bolster their ranks. When US Senator John McCain called America’s meddling abroad a “virus,” he meant it. It truly is a disease. And if Russians allow it to, it will corrupt and consume their entire nation just as it has corrupted and consumed the opposition planning to march. This entry was posted on March 1, 2015 by Amir Alwani. It was filed under co-opting and/or destabilization, news, Russia, tyranny, US, war and was tagged with Freedom House, George Soros, NED.